I don't think anyone else has posted this here, so I'll be the first. Below, I've listed the various card designs found in Telltale Texas Hold'em, and the number of wins necessary to unlock them. A few of them were a little hard to make out, so I left a question mark next to them. If I'm missing anything, let me know. 11 - Stick Figure w/ Star? PS. I'm the one that posted about the two Dank card designs (and other unlockables) on the Dank - 19th Edition comments page. I realized that this would be better suited for the Telltale Texas Hold'em forum. I've been playing this the past few weeks as well; it's surprisingly addictive! I think you've got all of them, but I can't make out the ones you couldn't make out. I don't think there are any new cards after the one with Dank and the club, but I'm not sure. One day, I may rip the card artwork from the game itself, and make a nice document (assuming that nobody has done this already). It would be even nicer if there was enlarged source artwork available, but if I recall correctly, none of that survived. That would be nice. It's hard to make out some of the details on some of the cards. For instance, there's some writing on that Stenchtar III-logo that's impossible to make out. That 3D-version of Dank makes me wonder; was there ever a Dank-game planned? I highly doubt it, but there is this mystery photo from 2004 or so. 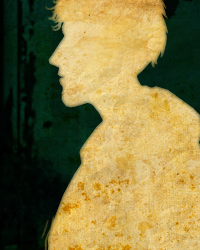 Yeah, I have WAY too much Telltale stuff lying around on my hard drive. Now I think about it, I remember reading something about this a couple of years ago (around the time Out from Boneville was released, if I'm not mistaken). Something about introducing characters through the Telltale-website to see if the audience likes them, and then giving them a chance to shine in the games. I don't know if they were referring to Dank or not, maybe someone of the crew could elaborate. I'll look for the quote later, I'm pretty sure I'm not making this up. I seem to recall way back in the early Telltale days that they said Dank was a character they'd "kicked around the office" for a potential game. The fact that they ever modeled him in 3D raises some questions. I remember in one of the earliest incarnations of the Telltale website, the top half of Dank's head (in 3D) followed the links you hovered over with his eyes. Certainly though they wouldn't model his whole body if that was the only thing they ever hoped to use him for. On a semi-related topic, Telltale had earlier on expressed interest in developing more original "casual" games like Texas Hold'em (though obviously not necessarily poker games). 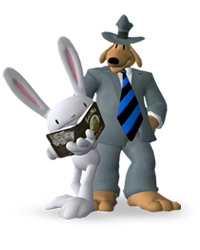 Reference to such games were made as recently as after the conclusion of Sam & Max Season 1. In an interview after that Dave Grossman alluded to the possibility of Telltale making "something original" between Seasons 1 and 2. Obviously nothing ever came of that, but it would be cool for Telltale to make some smaller (well, even smaller) games between their bigger licenses. They've probably never really had a lull in between their bigger projects, which is obviously a good thing. If I had to guess, I'd imagine that Dank was considered for a casual game, rather than for a full-fledged episodic story series. Maybe Telltale can tell us a good story behind what happened, but I bet it's as simple as their being too busy with their bigger, license projects. Perhaps Graham Annable (an animator and the company's Creative Director in the really early days) leaving the company had something to do with it? Of course, Annable and Telltale are obviously still on good terms seeing as the Dank comic still gets updated. Maybe they thought there was no point in giving Dank a game if Annable wasn't in-house to be involved enough? Who knows, but it's definitely fun to speculate while looking at photographs from 2004.